There has been a large uptake in regards to the number of poker players who have started to open up online poker site accounts in the last few years. With poker now being one of the most popular gambling games accessible online you may have an interest in becoming an online poker player. There are some huge paying poker tournaments held virtually every single day of the week and lots of both free to access and real money poker games always on the go morning noon and night in the online poker playing environment. However, there are some laws and regulations in place in many different countries that will either mean you are unable to legally play real money poker games online or you may be forced to play online at poker sites licensed in your home country, however many citizens and residents of some countries of the world are able to freely pick and choose just where they play poker online. With this in mind and to allow everyone who is interested in playing poker online, we have compiled a large number of county specific guides which will enlighten anyone wishing to play poker who is living or staying in any of the following countries to be able to find out whether they are going to have to face any playing restrictions when they start to look around for a poker site at which to play at. 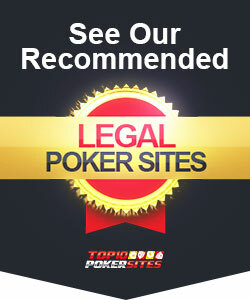 So please do click on any of the following poker site guide links below as by doing so we will enlighten you on the current laws and regulations surrounding playing real money poker in each listed country and will also answers many of the most commonly asked questions about playing poker in each respective highlighted country. The United Kingdom has recently started to revamp and overhaul their already very robust online gambling sites rules and regulations, and whilst even though you are free to play at any online poker site for free or for real if you live anywhere in Great Britain. The poker sites that will be looking to get you to sign up and play must acquire a UK Gambling Commission issued gaming license if they wish to promote their services to UK players. With this in mind and also knowing how strictly vetted and regulated any site that is licensed by the UK Gambling Commission we would advise any and all UK based online poker players to stick to playing at UK licensed online poker sites, for by doing so you will always have the Gambling Commission at hand should you experience any problems, which is something you will not have if you play at an unlicensed online poker site. It has been over two decades coming, but finally a handful of US States have now set in place their own way of licensing, regulating and oversee online poker sites, and as such you can now, if you live in Delaware, Nevada or New Jersey play at fully US licensed and based online poker sites for real money or for free. Should you live or be staying in or visiting any other US State then the only online poker sites which you are going to be able to access and play at will be ones that are based offshore and in other countries of the world, and it has to be noted that not all of the poker sites that will be touting for your business will meet your high expectations so proceed with extreme caution and make sure you ensure any poker site you do play at is offering fully certified as fair poker games and does at least hold a gambling license in a recognised and effective online gambling Jurisdiction. There are loads of different online poker sites that are accessible to anyone living in Australia, in fact playing poker online in Australia has become very popular and as such if you do live there you may have an interest in playing poker online yourself. If you do then we recommend that you have a good read through of our guide to playing poker in Australia as it has been designed to allow you to get a much better understanding of just what poker games and types of poker sites you will have instant access to and will allow you to make a much more informed decision on just which site you ought to be playing at. Canada does in fact have some very liberal rules in regards to online gambling and as such if you are living, staying in or are a citizen of Canada you are not going to be up against any licensing or regulatory problems when you choose to start playing real money poker online and will have a huge and very varied range of poker sites that you will be able to play at whenever you want to play poker online. However, it is always going to be advisable that you only ever choose to play at poker sites that are going to give you the ultimate online poker playing experience, and as such please do have a look through our Legal Canadian Poker Sites section of this website as we will give you several points in regards to what to look out for from any poker site you come across online to enable you to find a perfect site at which to play at and one you will be able to trust. In our final online poker gambling laws and regulation guides we take a look at what is on offer to everyone who is wishing to start playing poker online who live in South Africa. This is another country where a lot of people enjoy sitting down to play poker online and as such there are numerous online poker sites that will allow you to do just that.